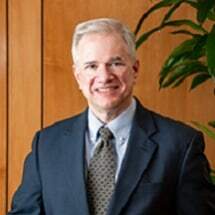 Jerry Evans, a mass torts attorney at RPWB, works to achieve justice on behalf of injured workers and others who have been wronged by corporate conduct. Born in rural Pickens County, South Carolina, Evans was an accomplished orchestral musician before embarking on a career in law. He earned music degrees from the Eastman School of Music and Indiana University. He graduated from the University of South Carolina School of Law in 1996 and joined Ness, Motley, Loadholt, Richardson & Poole in 1997 to work on the firm's national tobacco litigation. In 2002, he began working for RPWB. Evans is a member of the bar in South Carolina and in the United States Virgin Islands. He also serves as a foreign legal consultant to several Canadian provinces regarding tobacco litigation. He is an active member of the American Constitution Society, a progressive law and policy organization. For decades, two industrial facilities on St. Croix polluted the island's aquifer and the surrounding area. In actions seeking natural resource damages and remediation, defendants Hess Oil Virgin Islands Company, Hovensa, Lockheed Martin, Alcoa World Alumina, and St Croix Alumina agreed to pay millions in damages to the government of the Virgin Islands and embark on extensive environmental clean-up that is still on-going.